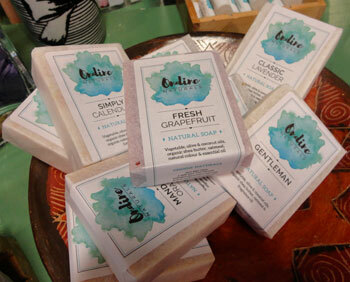 Our new ONDINE line, made locally in Roberts Creek, BC is using glass bottles for their lovely line of skin care products. And the handmade soaps are simply wrapped in paper. Lovely. Thanks, Ondine!